In Part 2, I discussed my second year of golf in which I was playing and practicing a lot using the many golf swing tips I was getting from regular coaching. I was improving, but looking back at it all now I really do believe that I could have improved a lot faster had I been using an online training program that I have recently discovered. A quicker way of learning the golf swing instead of using basic golf swing tips is to learn how to hit the ball with speed, safety, and strength. Learning how to hit the golf ball in a synchronized way with your body is definitely the easiest way to improve ball striking. All of this can be learned using a very informative 60 Day Training Program which teaches golfers all parts of the golf game. Most of the training can be done in the comfort of your own home as the correct body movements and stretches are vital to becoming a more consistent golfer. I really do believe that if I had of applied this training to my golf grind all those years ago and not used all the Golf Swing Tips I was getting I would have improved a lot faster. Below is a summary of my golf scores for the third year in which I practiced and played a lot of golf. It was my third year of playing quite a bit of competitive golf and I felt I was improving getting around a golf course. 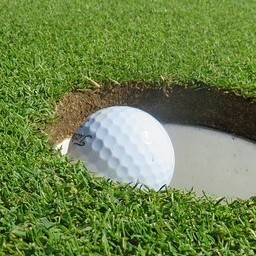 My short game and putting were ok and I would practice it regularly. I found chipping and putting comps with other single figure players helped me a lot to help reduce scores. I spent a lot of time on the driving range and kept getting more and more golf lessons. I had a total of eleven more golf lessons with a coach and we predominantly worked on improving the golf swing. My ball striking was only improving marginally and I was still practicing between 10 and 20 hours per week. A goal that I did achieve during this time was getting a start in the State Amateur Championships. I didn’t play the best shooting 76,84,76,79 but it was a good experience to tee it up next to some of the best players in the state. Some of these guys have played on both the US and European Tours so I was pretty happy at the time. I did start to get some intermittent back pain during these periods which began at the end of 2004. I would do the regular stretches my physio gave me and the pain would go away. Little did I know at the time that this would become a major problem and put me out of golf for almost 5 years. Working casual hours stacking shelves and the repetitive overuse of the golf swing are contributing factors to this problem. Had the 60 Day Training Program I speak of been around when I was practicing lots I believe I would never have injured my back and I would have gotten my game to a level that was acceptable to achieve my goal with the game of golf. Ball striking has always been a problem for me and from the stats that I look at from previous years my fairways and greens statistics never really improve. Stay tuned for Part 4 and if you want to learn more about the Online Training Program I speak of click here.